To increase its capacity for innovation and to respond quickly and effectively to changing market and customer requirements, the Italian vehicle spare parts supplier EXO Automotive is focusing on product development, the automation of business processes and the optimisation of its catalogues. Various TecAlliance solutions, from TecDoc Catalogue to analysis instruments for the optimisation of the product range through to OES spare parts data, support EXO Automotive along this path. For Alessandro Donà, product development manager at EXO Automotive, the various TecAlliance solutions open new possibilities in product management and for market development, securing the future success of the company. “The decision in favour of TecAlliance and the investment in the various solutions were strategically significant for us. For example, we could considerably reduce the time required to update our catalogue and to use the freed resources for new projects. For example, we took a of the possibility to develop a new, multilingual online catalogue for Europe with high data quality of data and numerous options. A license plate search for the most important European countries, including graphics, vehicle technical data and much more, is an important element of the expansion of our business,” says Donà. With Reference Data Package, the world-renowned standard in the automotive aftermarket for the description of vehicles, vehicle components and product information, the EXO product data and repair information are standardised and validated. The solution OE Data Research supplies EXO Automotive with exact, up-to-date, 100 % clean OES spare parts data for more than 350 products on the European market. The company is informed about new and altered OES references so that it has the option of adapting its own product portfolio quickly and successfully to market requirements. With the analysis instrument Product Management Analytics (TecPMA), EXO Automotive conducts competitive analysis on the European market. Its own activities can be determined from the gaps discovered in the product portfolio and the data. They can be prioritised based on country-specific car parc numbers. EXO Automotive receives car parc data for more than 75 countries from the solution Vehicles in Operation (VIO). The fully specified car parc data, with more than 60 identified properties for the vehicles, is available on a national level and on a detailed geographical level. EXO Automotive has a solid planning basis for the development of its products and portfolios. EXO Automotive has been active in the vehicle spare parts market in Italy and other countries for more than 25 years. In addition to exclusive sales for Remsa, the European market leader for braking systems, the company has offered a comprehensive product portfolio of vehicle spare parts under its own Open Parts brand since 2005. 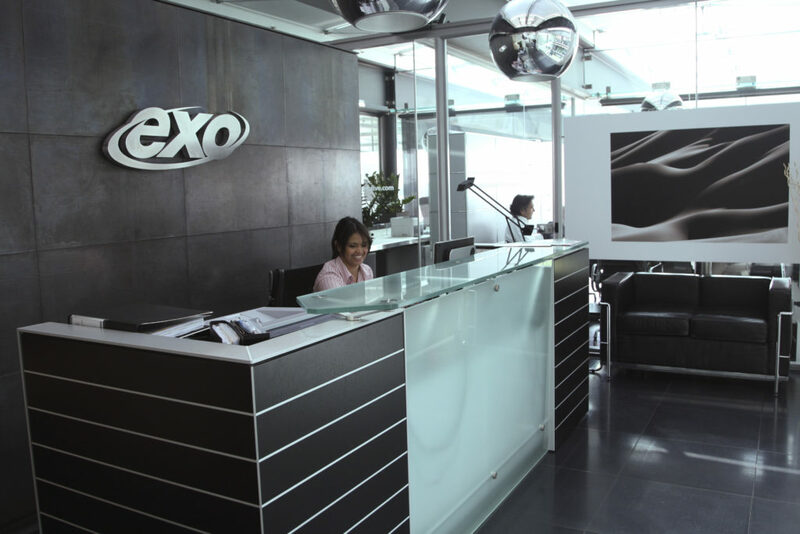 The headquarters of EXO Automotive in Padua, Italy.